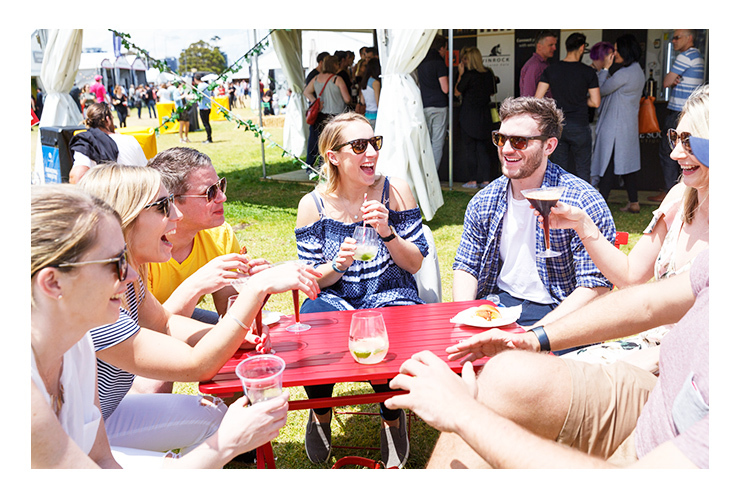 Taste of Sydney is returning to Centennial Park this March, and there’s more than one reason it’s our favourite when it comes to Sydney’s feasting calendar. Between the food and drink samples, (read: free samples), cocktails and dishes from some of Sydney’s culinary elite—it’s always a good time. Undoubtedly the best thing about the Taste of Sydney festival is the fact that you get to rub shoulders with some of our countries best chefs. By that, we mean that you can try out their signature dishes for a fraction of the cost, try your hand at making it yourself and then spend the rest of the night finding the most cost and time-effective way to hit up all of the stalls. Our hot tip—bring a group of mates to divide and conquer. Here’s our list of the top 11 things to do at Taste of Sydney this year. Obviously we don’t believe that dessert should be left until the end of the meal, let alone the end of the night, so it’s topped this list on purpose. Nelly Robinson is setting up nel. Sweet Shop and here you’ll be able to get your hands on—for starters—roasted white chocolate, banana and peanut butter ice cream, as well as Nelly’s take on the humble wagon wheel. The latter involves raspberry, yuzu and milk chocolate—so yeah, it’ll be delicious. Hailing from Paddington’s foodie precinct, Saint Peter will be serving up some of the country’s best seafood—as is their MO—including sweet and sour Mooloolabah albacore with malt sourdough crisps, salt and native pepper and Clarence River school prawns. Stepping out of their home in Chippendale for the weekend, Kensington Street Social will have all bases covered, so self-control is king here (if you want to leave room for the other stalls too). Entrée is their signature Hiramasa kingfish tartare, main is their Milly Hill lamb with charred eggplant, piquillo, garlic yoghurt and ras el hanout, and if you want to keep it casual—order one of the social dogs too (Cumberland sausage, green apple butter, black pudding and cheddar). Grab a rosé while you’re at it and then down the toasted honey cake for dessert. Flying the fine dining flag, Bouche on Bridge will deliver your much-needed dose of fancy. Their crusted groper with oxheart tomatoes and smoked garlic rouille, along with their grilled asparagus with duck yolk and puffed rice belong in your belly. They’ve become known as one of Sydney’s foolproof CBD restaurants since launching in 2016 and this is your chance to sample their menu, without committing to the whole hog. We still love the hottest cocktail of 2016, because an espresso martini will NEVER go out of style—at least not in our books. Mr. Black will be at Taste of Sydney and he’ll be serving up the espresso martinis en masse. Do us a favour and have one for us while you’re there? Cheers! If you’re still on the fence about the goodness that is beer, then chances are that you’re partial to a cheeky cider on a hot day (who isn’t?). The Cider Lab will have a stall where you can sample (have we mentioned that we love samples?) their pink lady apple, royal gala apple and pear varieties and also buy a few to take home with you. 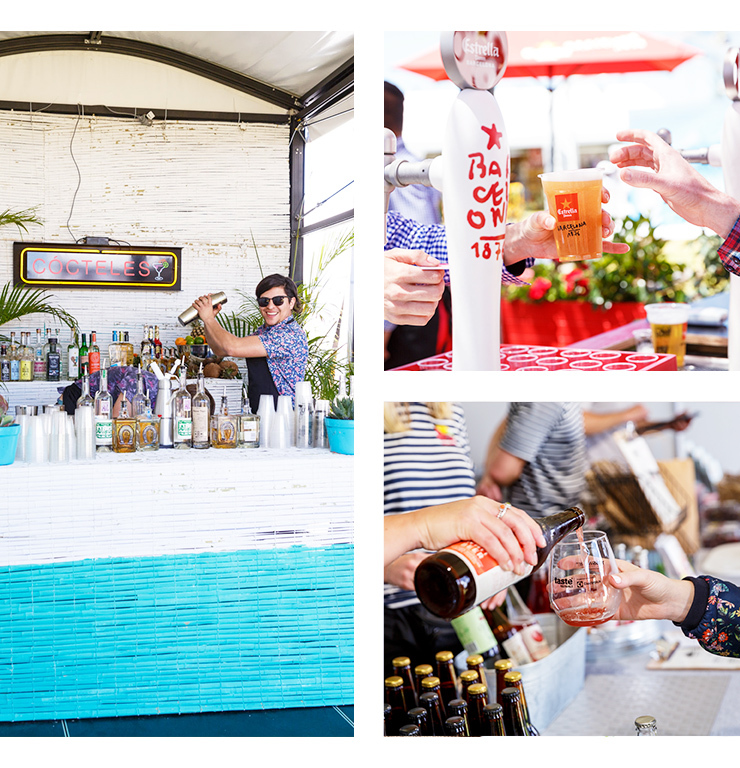 If you do love a good beer, then head to the Estrella Damm Bar, who will keep their Spanish beer flowing throughout the entire festival. IYCPOP’s are definitely our favourite alcoholic popsicles doing the rounds in Sydney at the moment, and they’ve been keeping us cool all summer long. They come in four flavours and we recommend that you—responsibly—give them all a go. Think summer pear and elderflower mojito, watermelon and rosewater martini, white peach and lychee bellini and black cherry amaretto sour, all wrapped up in a pretty little marble-print package. Along with their Mediterranean dishes Banksii Vermouth Bar & Bistro will also showcase their bespoke Vermouth offerings at Taste’s first ever Vermouth Bar. They have an impressive selection of Vermouth on offer at their home in Barangaroo—all with a strong botanical emphasis, so we can only assume that it’ll be the same story at Taste. 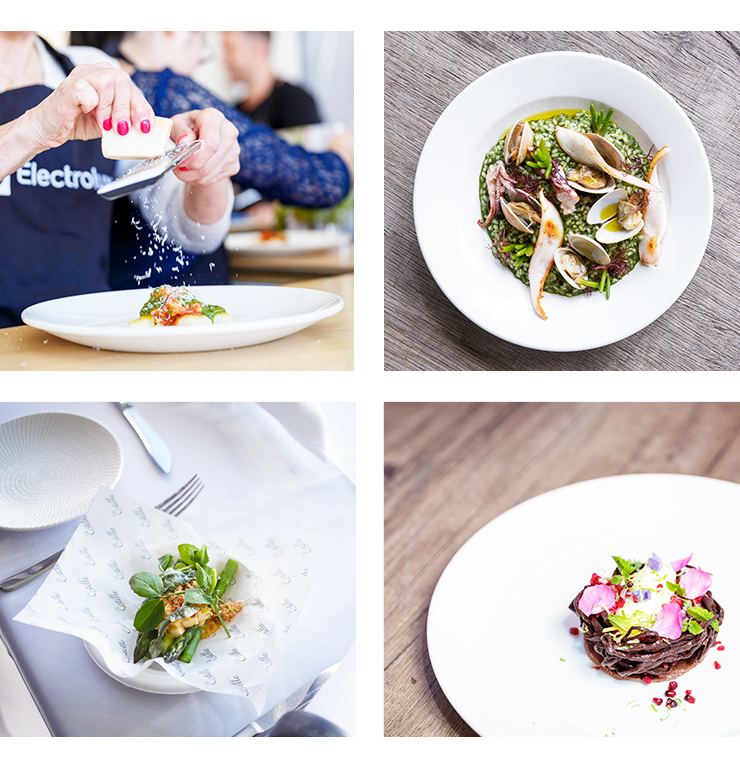 If you’re more of a hands-on person, then the Electrolux Chefs’ Secrets sessions are where it’s at. You’ll learn how to whip up signature dishes from renowned chefs, including Massimo Mele, Nelly Robinson (nel.) and Melbourne guest chef, Scott Pickett (Estelle). Tickets will set you back $12, and it’s a first come, first-served deal, but if you make it in, you’ll be seated at a communal table after the session to enjoy your dish with matched wines. A first for Taste, The Music Hub is bringing the ‘beats’ portion of this ‘beats and bites’ festival. A collab between the festival and Parlour Gigs, who’ll be in charge of creating a stellar line-up of Australian muso acts. The line-up is yet to be announced, but it’s not far off, so stay tuned. Elextrolux Taste Theatre in association with Etihad Airways is where all of the live cooking demonstrations by Sydney’s best chefs will be going down and it’s completely free once you’re in the festival (win!). Hosted by Kate Gibbs you’ll see legends like OzHarvest Head Chef Travis Harvey, who’ll be talking all things sustainability, innovation and inspiring dishes that’ll help you give food wastage the flick. Now that we’ve convinced you, you can pick up your tickets to the festival here. Editor’s note: This article is proudly sponsored by Taste of Sydney and endorsed by The Urban List. Thank you for supporting the sponsors who make The Urban List possible. Click here for more information on our editorial policy.